Big Spree fan here. Always have been. 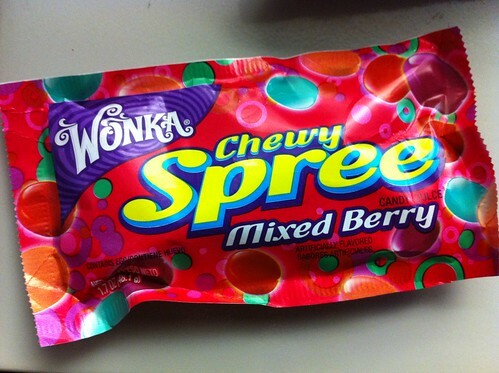 So when I see these Chewy Spree….and in Mixed Berry !?!??! They are brightly colored and have some good flavor to them. Lotsa berry-yyyyy-ness to them. So much so I can’t tell the difference between the colors/flavors. They aren’t that far off from each other so I guess in the end it doesn’t matter. Just enjoy the berry-goodness!